Apium Additive Technologies GmbH is a technologies based company located in Karlsruhe (Germany) that provides solutions for processing high performance polymers with Fused Filament Fabrication 3D printing technology. The company provided the first commercially available PEEK filament and developed the first filament based FFF 3D printer optimized for processing high performance polymers used in industrial applications. With our research and development studies, we aim to provide innovative industrial solutions based on the fused filament fabrication (FFF) 3D printing technology and high performance polymers. 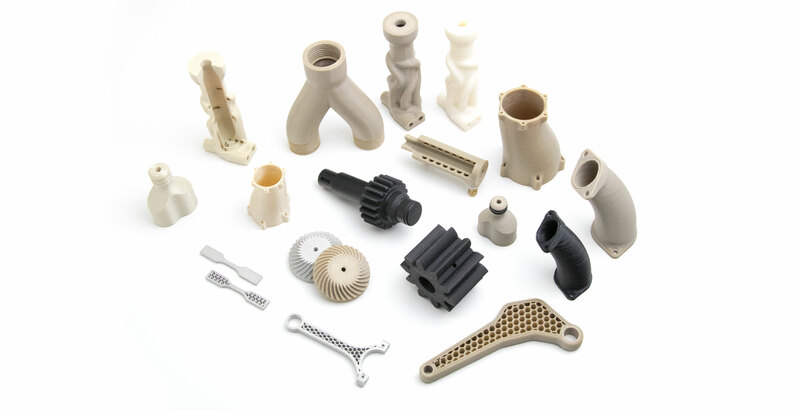 We have a vision to become a professional leader in the field of FFF 3D printing technologies. We relentlessly provide our technologies to where they are needed and participate only in markets where we lead change. Hear the vision of Apium from our founders and managing directors. Tony Tran-Mai is responsible for sales and distribution, financing, human resources and acquiring new strategic partners to build up a brand image. Due to his business studies, many years experience in a leading position and 17 years sales experience, he is well conditioned for the position as CEO. Prof. Dr. Brando Okolo is responsible for the technology, research and development, product management, business development and reaching new partners for collaborating in research projects. Based on his 15 years of experience in R&D mostly at the Max-Planck Institute and Karlsruhe Institute of Technology (KIT) coupled with 5 years of a fulltime professorship in material science and engineering at the German University in Cairo (GUC) he brings along focus and vision at Apium. Dr. Lars Pfotzer is responsible for software development, IT infrastructure, robotics and automation. Due to his studies in computer science at KIT followed by 6 six years of research experience at FZI Research Center for Information Technology makes possible Apium‘s leadership in machine and software development. The combination of Informatics and FFF 3D Printing knowhow is a key critical asset at Apium.